As writers, we want to be published. But publications cost money and publishers therefore look for manuscripts that fall into their mandate. They cannot publish everyone. They are honest about it and will reject without feeling guilty. To emerging and some mid-list writers the publishing process can be quite a mystery. Writers can be manipulated and exploited by unscrupulous "publishers". The following questions must be asked. What are the positives and negatives of being published? Why publish in the first place? What is needed to approach a publisher? Are multiple submissions allowed? What are the pitfalls along the way? Is the Vanity Press the way to go? What are the scams? What are the advantages and disadvantages to on-line publishing? What good is an agent? Can the Writers Union and other associations help? What other resources are available? These and other questions will be looked at in this workshop sharing experiences with the process of getting publishing. Instructor: Terry Watada’s publications include Kuroshio: The Blood of Foxes, (novel, Arsenal Pulp Press 2007), three books of poetry, Daruma Days (short fiction, Ronsdale Press 1997), and Bukkyo Tozen: a History of Buddhism in Canada (non-fiction, HpF Press & the Toronto Buddhist Church 1996). His essays have appeared in Maclean's Magazine (March 2011) and Canadian Literature (UBC) to name two. He maintains a monthly column in the JCCA Bulletin, a national magazine out of Vancouver. He was presented the Queen’s Diamond Jubilee Medal in 2013. His archives of books, records, manuscripts, and significant artifacts have been collected as the Terry Watada Special Collection and housed in the East Asian Library, Robarts Library, University of Toronto. David was recently inducted as an Honorary Witness for The Truth and Reconciliation Commission of Canada (TRC). The TRC hopes to guide and inspire First Nations peoples and Canadians in a process of truth and healing leading toward reconciliation and renewed relationships based on mutual understanding and respect. As an honorary witness, David will initiate a new graphic novel to help document stories from this dark period of our nation's history. Attendees to this first workshop will be invited to participate and to embrace an upcoming year(s) of social isolation, missed family celebrations, late night research, and low pay in an effort to help push out this meaningful graphic novel. Instructor: May Yan-Mountain has been involved in many activities related to Chinese family history. 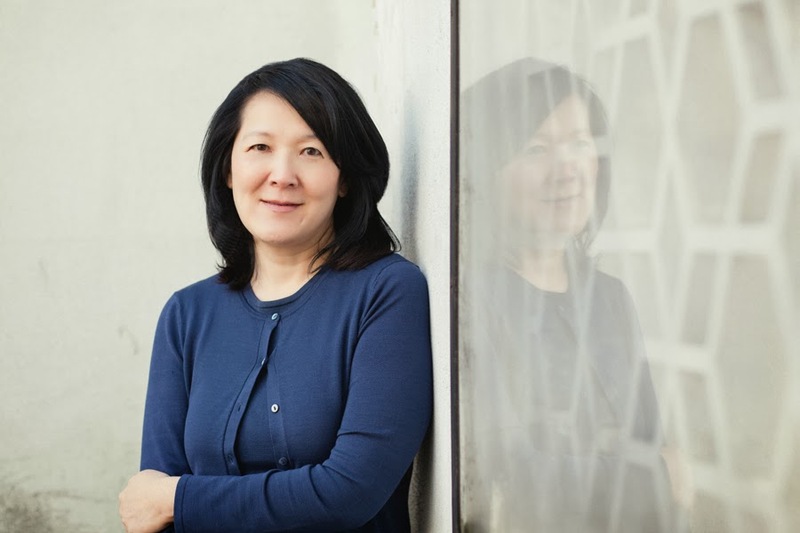 The anthology "Eating Stories: A Chinese Canadian Aboriginal Potluck" was her co-writing debut with other writers each sharing family stories and traditions. Following her participation as the Chinese genealogy consultant for the segment "Chinese Connection" in "Ancestors in the Attic", a Canadian genealogy series shown on History Television in Canada, May held a series of Chinese genealogy workshops at the Vancouver Public Library. In combination with her publications "Research Guide to Chinese Genealogy" 1st and 2nd edition, May taught the local Chinese genealogy researchers a variety of tools to discover documents and records found in libraries, genealogy databases and other hidden sources. May is currently residing in the Lower Mainland of British Columbia, Canada. She received her Bachelor of Arts in Asian Studies with a focus in Chinese history and language from the University of British Columbia. When you write a story or a suite of poems, they shouldn’t end up in your drawer. In this age of digital media, a literary work could also become an article, a blog piece, a Huffington Post blog, an iPad app. This gets your work read more widely, but even more interestingly, it allows your work to morph into new forms. In essence you can begin to think of each work as a kind of ‘brand’ that could be proliferated across media. Participants in this workshop will look at case studies including Ann Shin's poetry book/video/interactive e-book The Family China. Other projects referenced include Jennifer Egan’s A Visit from the Goon Squad and Sarah Sheard’s latest blog/nonfiction memoir project.